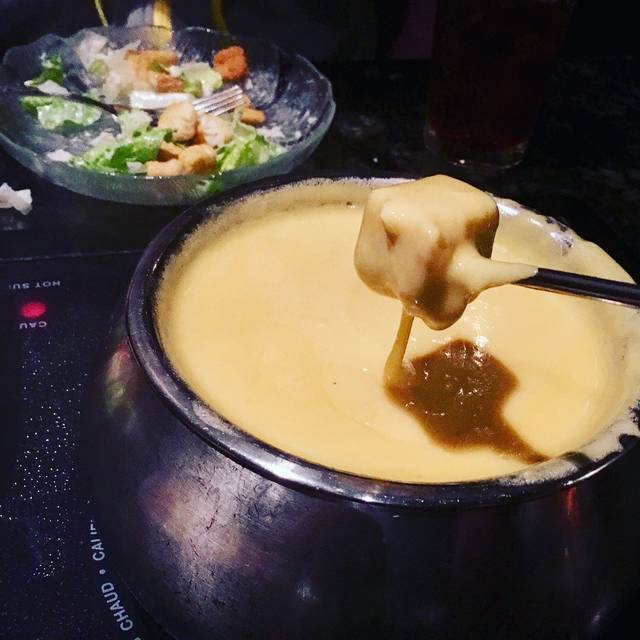 You must make reservations at least 5 minutes in advance of the time at Simply Fondue Livermore. There is street parking located in front of the restaurant, a large parking lot located behind the restaurant, and a 500 space parking garage located a short walk from the restaurant. Parking for guests with disabilities can be found in the lot directly behind the restaurant. 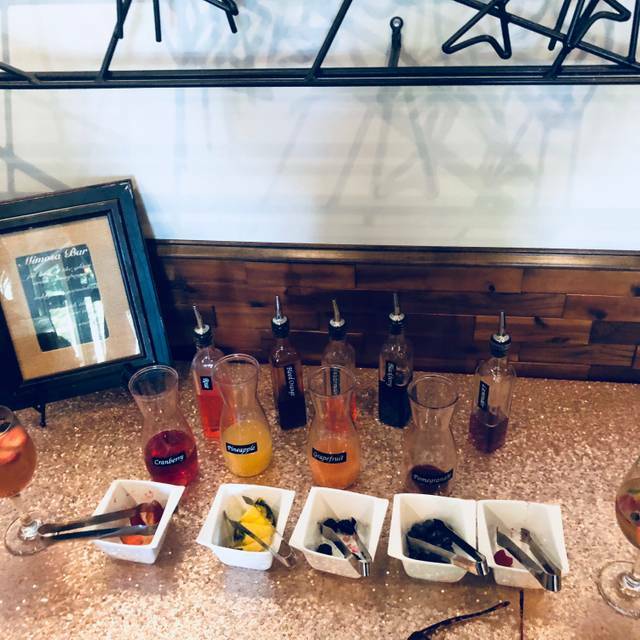 Holiday parties, rehearsal dinners, birthdays, anniversaries as well as corporate events, Simply Fondue welcomes private parties of any size. We'll work with you to design a set menu within your budget, or allow your guests to order from our extensive menu. Please contact us for more information. 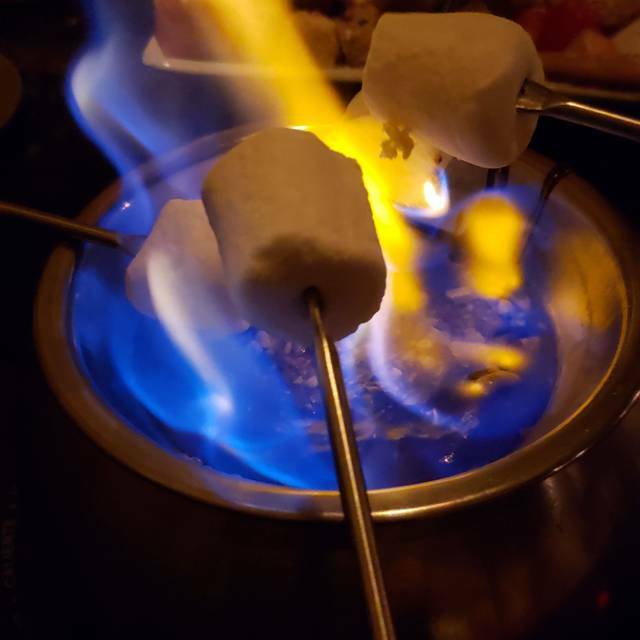 At Simply Fondue, we are committed to bringing you simply the best fondue dining experience found anywhere. We guarantee a relaxed and casual dining atmosphere that moves along at a leisurely pace. We use only the finest ingredients and make all of our sauces, batters, and dressings from scratch daily. Enjoy a selection from our extensive wine list or one of the more than 100 hand-crafted martinis and specialty drinks during your visit. 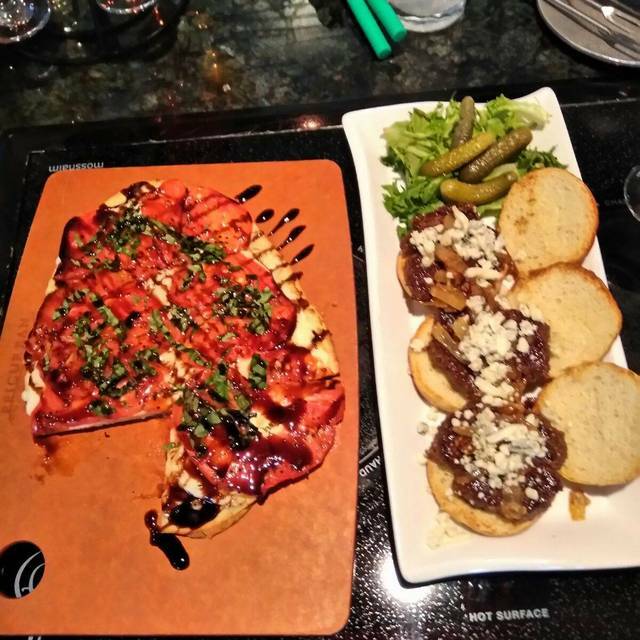 Create your own entree combination by selecting three (3) or more individual items below. Includes one cooking style and served with seasonal vegetables and an assortment of house-made sauces. Awesome service food was delicious fun and different experience! Date night was great. Plenty of time to relax and enjoy the great food and company. Service and drinks were on point. The experience was wonderful! At first we were given what had to be the worst table in the entire place, but after requesting another table we were moved. (I made the reservations 6 weeks in advance -no way I was sitting at the worst seat in the house - maybe if I had just walked in off the street ...) Our server, Jonathan, was great - very personable (even though he forgot to put in my drink order --- it happens :-) I would suggest foregoing to Jack Cheese fondue - though Jonathan swears it is normally very good and made with real cheese, it just seemed a bit processed. I'd also skip the Lime Tequilla shrimp - I like salty, but these were overly salty by a lot. If not for these reasons I';d have given 5 stars as the experience was great and we were treated well! It was my husband’s birthday and we came as a family. Every thing was wonderful! Danielle was the best waitress! We loved her so much and she was so helpful to all of us! 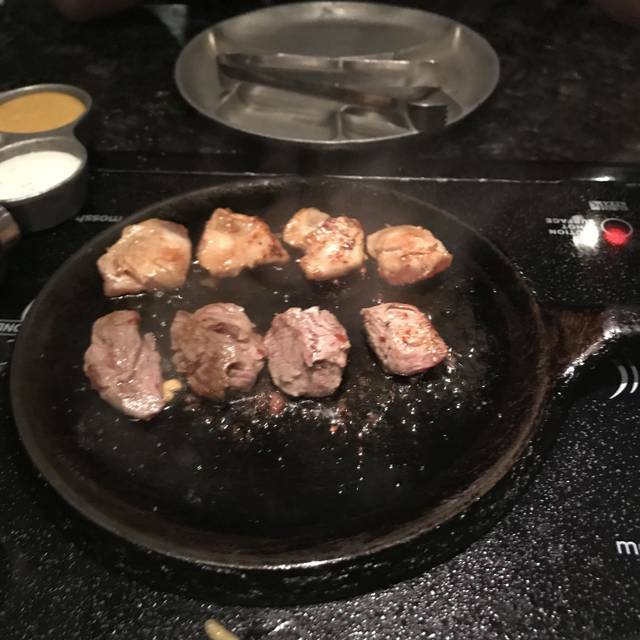 Loved the food and the service! My mother had the perfect birthday! There was a time I would recommend Simply Fondue to anybody who inquired, but after this visit that has changed. The food offered in the bar was not available to all customers only those in the bar. Fondue was offered to all. My group wanted to order some sliders with their fondue but were unable. Also, they did not have enough help on the Monday I was there. The server put the base in the fondue to warm and by the time she was able to come back half of it was evaporated. The cheese was gritty and lacked the taste remembered. Our waitress was excellent, kind, attentive, and efficient in a very busy atmosphere. I don't fault her for our disappointment. The management needs to look over their menu and core staff numbers. Good bar, overpriced menu. Very loud and noisy dining room. Could clearly hear everyone else’s conversation. Swiss Cheese Fondue not very good. Had to order 3 minimum for the oil fondue and sauces not very good. Had to go once to see it but won’t go back! We had a great time, service was great! jalepeno margarita was amazing! Service was horrible, first time going and I actually was the superintendent building this project. Bobbi and Melissa in the bar are awesome! Attentive, friendly and they make a great pot of pepper jack! Rachel, our waitress did an amazing job and they made sure to have the flowers on the table I dropped off earlier in the day. They were very helpful in making the birthday celebration a very special day! I really like the new menu they have designed. It makes it so much simpler to read. The food was really good, a little pricey but still pretty good. This is a feast! You will not leave hungry for sure. We’ve been here before and knew not to waste time with the salads. But this time, since the cheese and chocolate are our favorites, we decided to have 2 cheese fondues and no meat entree. That way we had room for the chocolate fondue. 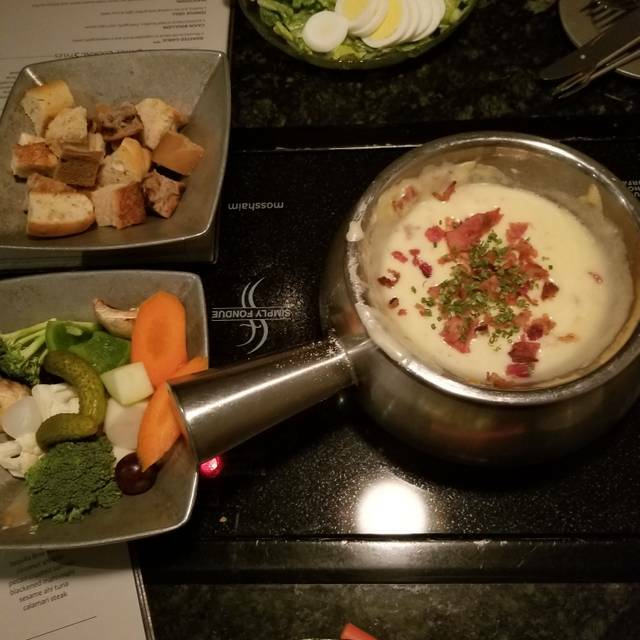 Side note: I recommend the antipasto add-on for the cheese fondue. Too expensive for lower quality food. Service also not good. Staff forgot to come back to check on the butter warming up in the pan and it burnt- twice. The service was a little slow but the food was yummy. The prices are a little much for the 4 course meal. I love this place. It is a bit pricey for anything regular, but we go about once a year for a special event. We always love our dates here! Great service and yummy food. Frankly, the food was abysmal. Serving a small bowl of huge poorly cut rock hard crunchy vegetables to dip in a acrid cheese mix is not worth even one dollar. It was absolutely unacceptable. The vegetables came right out of a restaurant depot bag and they were way too large for one bite and they weren’t even steamed a little bit they were hard and crunchy there was no effort made. Lazy lazy chef. In addition, the vegetable mix to dip in the acrid cheese included many pickles and cocktail pearl onions. What on earth was that about? Our server was horrible! We had to ask to order drinks, he did not ask us. Burnt our chocolate and we had to ask him to stir in the sprinkles (funfetti) when we asked him to stir he grabbed my friends poker aggressively off her plate and started stirring. A poker she had been using from the cheese we had prior, he couldn’t go to the back and grab a spoon? He wasn’t personable which wouldn’t normally cause me to be appalled by the service but what he did and how he acted was absolutely horrifying and not what you would expect from a place like this... very dissapointing. The manager did take of 50% from the chocolate but at that point the damage was done. Indifferent, non attentive waiter and rude manager on duty. Terrible service overall. I can't recommend this place because their fondue pricing is outrageous. 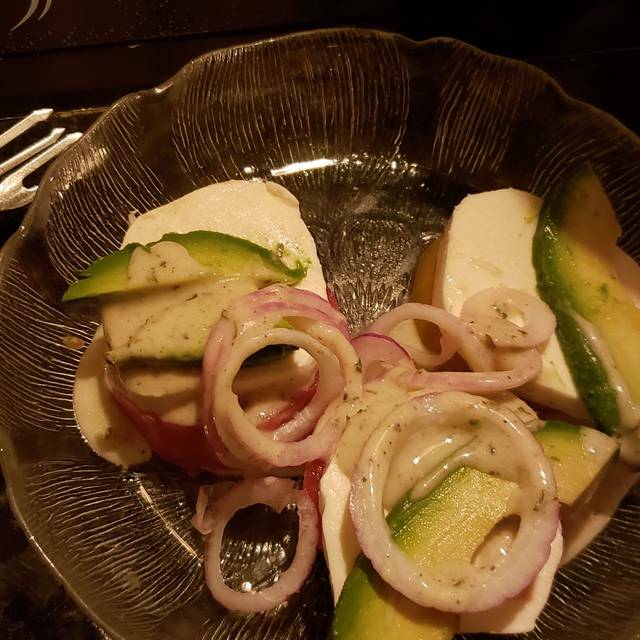 Our server was very sweet and attentive, the ambiance fine-a little dark. 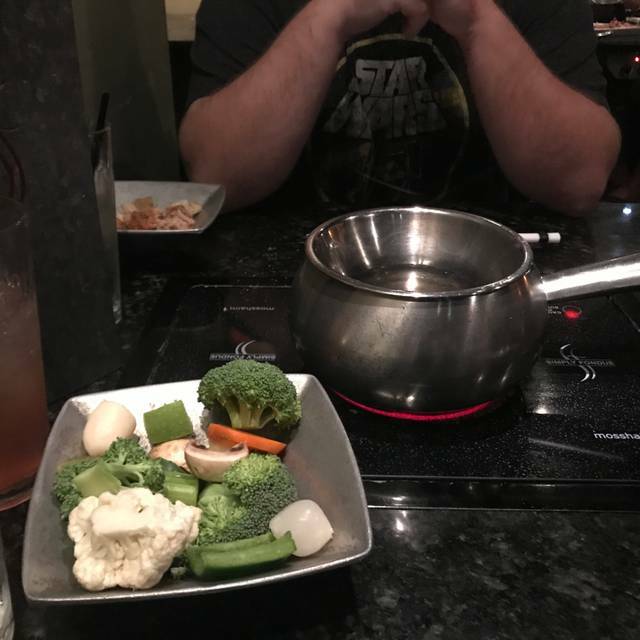 The fondue was good...but not great. The portions of bread/veggies very small based a $26/per person per cheese serving. I met a friend for dinner-2 drinks each and 2 shared pots of cheese came to about $130 with tip. CRAZY, even for downtown Livermore, where all the newest restaurants have jacked up prices. We had so much fun and enjoyed our experience. Jonathan was the best server. It was a nice evening. The waitress was perfect and explained everything to us it was wonderful way to spend a birthday dinner. Place was decent. Our server was good but the Asian manager/ front desk was rude. We are celebrating an early birthday and a get together we were all having a conversation with our server then the lady came and told us to be quiet like we were in grade school. I find that very rude. Fun family adventure. Very nice for special occasions... not sensible for every day dining. Had an amazing time as always!! I absolutely love coming here. However this time I was left a little disappointment. The cheese was too oily. The bread crumbled. Seemed stale. The server had no personality. He didn’t seem to enjoy his job. Waiter was ok. Ended up not charging individual bills correctly. He overcharged also for an additional salad. Looked lie trying to go from his memory. Ashley, our waitress, was fantastic - great attitude and many helpful hints for cooking. Cheese and Chocolate fondues very tasty but meat courses are not good. 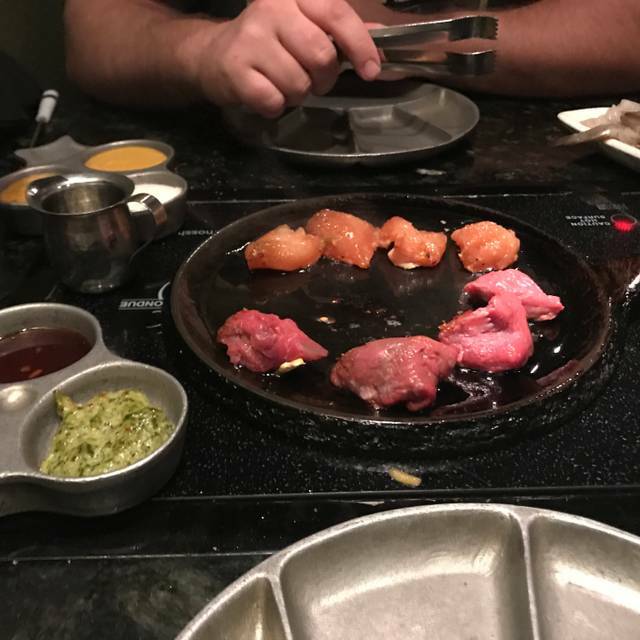 Way too much money for the meats. Cuban beef was the most flavorful of the lot - we had fried chicken, coconut shrimp, bacon wrapped tenderloin, lemon pepper chicken, teriyaki chicken to name a few. Their side sauces need to be rethought because they really didn't complement any of the meats and most were wasteful. Dining was comfortable and the service was great! Our waiter was very nice. Food was good, though one of our salads had glass in it. Waiter brought a new one, but definitely not good in any restaurant, especially when you're paying this much for dinner. Our server was on point, food was great, will be coming back for sure.